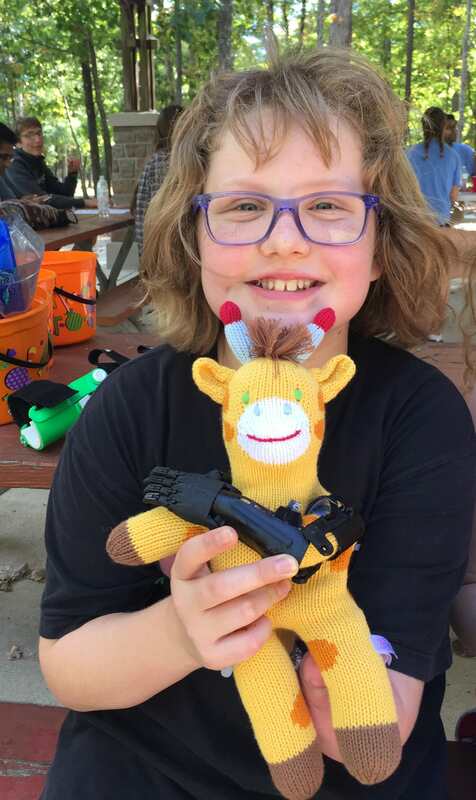 The Helping Hand Project is a nonprofit organization dedicated to making 3D printed recreational prosthetic limbs for children at no cost to their families. Traditional prostheses can cost upwards of thousands of dollars. When children outgrow their prostheses, they require new ones. Many simply go without needed prostheses due to the cost. 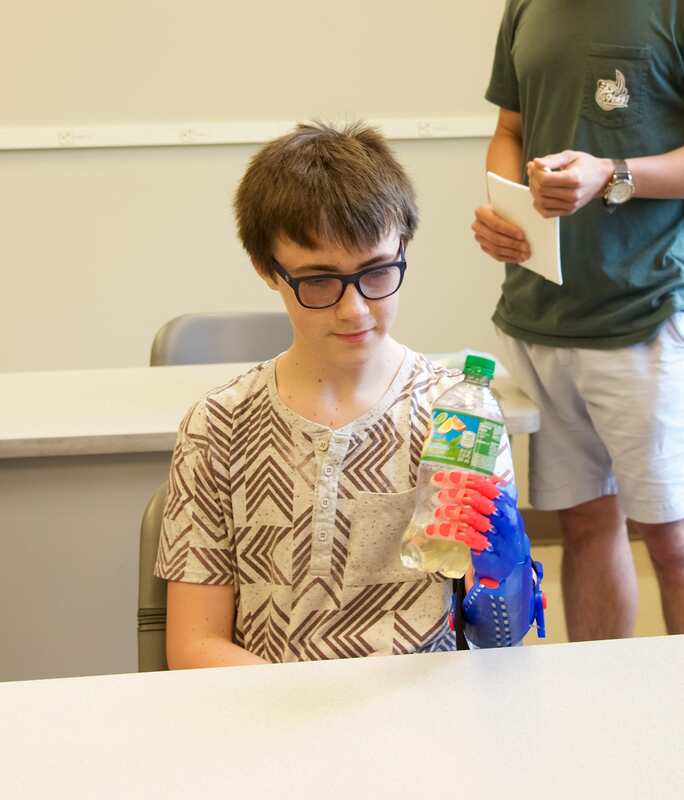 The Helping Hand Project uses forward thinking and innovative technologies to provide useful prosthetic devices to those that are financially and medically in need. The Helping Hand Project needs your help to extend our reach to more children with limb differences. With your donation, we will be able to expand our reach to K-12 schools, provide support to the families of our recipients, promote STEM education and deliver prosthetic devices to thousands of children around the world. 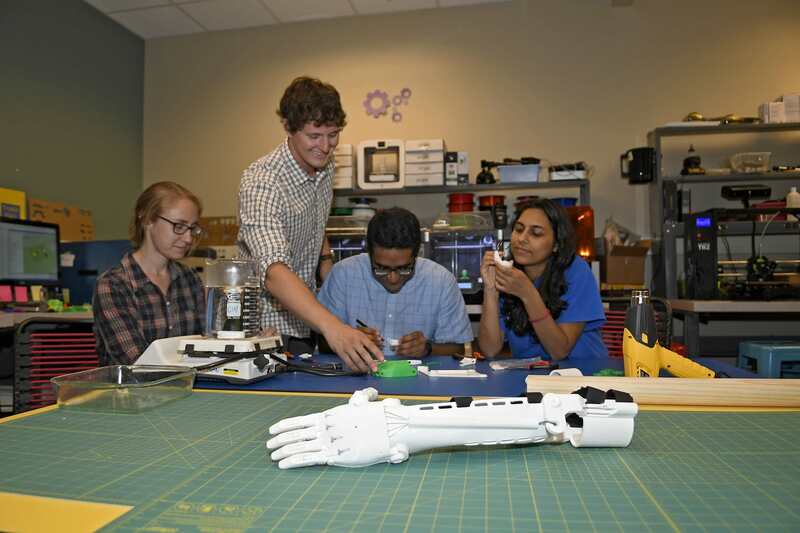 ​While the average cost for the material and printing of a fully functioning prosthetic device can be under $20, it often takes our members weeks/months to successfully print and assemble a device using our limited resources and workforce. 2. Fund family support events. -allowing us to get to know more kids! Gifts $49 and above will receive an Official Helping Hand Fidget Spinner made by our club! Gifts of $149 and above will receive a miniature arm prosthetic, perfect for a Doll or 49er Teddy Bear! Give a Spool of 3D Filament! The major consumable used to 3D print prosthetic devices is the plastic filament that is melted to form our devices. The spools come in many different colors and we often make each device using 2-3 colors! However, overtime the plastic deteriorates, resulting in a very short shelf life. We are always in need of filament! Give 2 Kids Prosthetic Arms! Make a difference in the lives of children who have a limb difference and as a thank you, we will send you a 3D-printed fidget spinner. We plan to visit local K-12 School and introduce the students to Digital fabrication using prosthetic devices! Our helping hand project members, will run 1-2hr long workshops tailored to each grade level in order to engage STEM/STEAM learning!